According to Vedic Rishi’s, "human intelligence" is a manifestation of "universal intelligence". It is not a product of mere social conditioning or physical evolution. The goal is the re-integration of human and cosmic intelligence. According to this view, the cosmic mind is the repository of all true knowledge and power and the linking of human mind and cosmic mind is the way to achieve the harmony in man and nature/cosmos. Even the discoveries of great scientists usually occur in inspirational moments in which the cosmic mind touches them. It is not enough for us to develop intellectual cunning, huge computers of large data banks. Unless we can give up our human ego and open to this higher cosmic intelligence, our knowledge will remain biased, incomplete and potentially destructive. Such a situation has arisen these days that human race is feeling helpless before the frightening problems created by human themselves. In modern times, the clouds of catastrophe which are hovering over mankind can’t be dispersed by human efforts alone. Man is great and still greater is his creator . 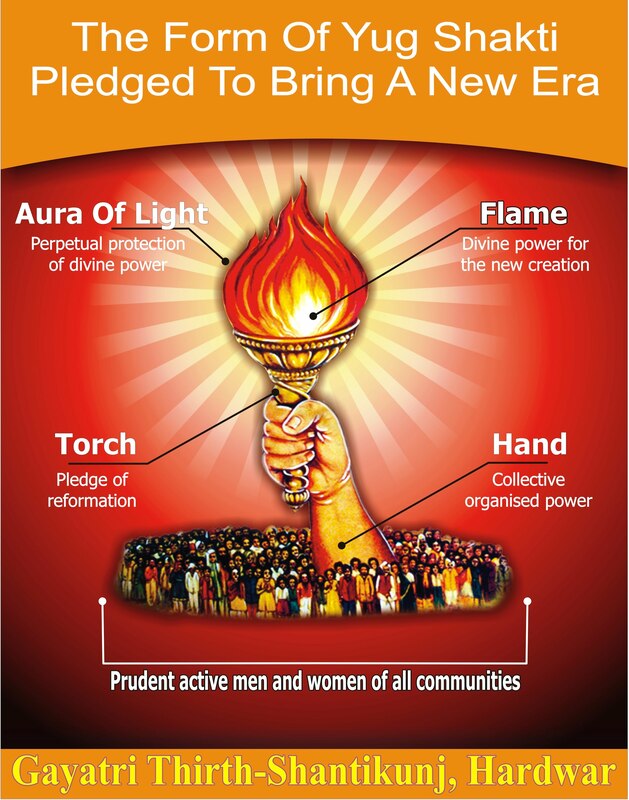 The Supreme Power is determined to ward off the ills afflicting humanity and usher in "New Era". The effort is ongoing in the subtle and astral world. There is crying need for pious men devoted to come forward to participate in this Divine effort. Such devoted persons can help in the divine task of successfully bringing about the needed change in the environment by their efforts and noble deeds that would transform the "Will of Mahakal" (the sustaining power of Divine) into reality. There needs to be a new "Shakti" to be generated not by mere words but by a "power of consciousness" and connection to the cosmic mind. Only through the flow of this power of consciousness into the mind can appropriate "dharmic order" be build. This requires not only developing an intellectual culture but a new spiritual culture that includes and transcends mind. May we once more seek the cosmic mind and not rest content with the merely human ! There exists no alternative but to approach Omniscient, Omnipotent Supreme Power and seek prudence and power from Him. This possible to achieve by power of great "Gayatri Mantra" as envisioned by Yug-rishi, Vedmurti, Taponishtha Pandit Shriram Sharma Acharya . Explore how you can benefit yourself and contribute to the global harmony by transforming the "thoughts" there by bringing the advent of a "New Era". Explore more ….